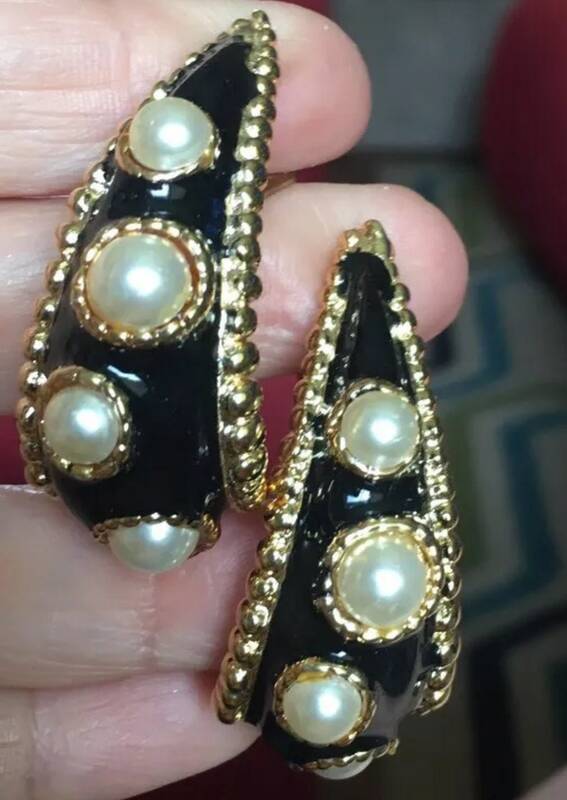 A beautiful vintage pair of earrings. They measure approximately 7/8" x 1 3/4". 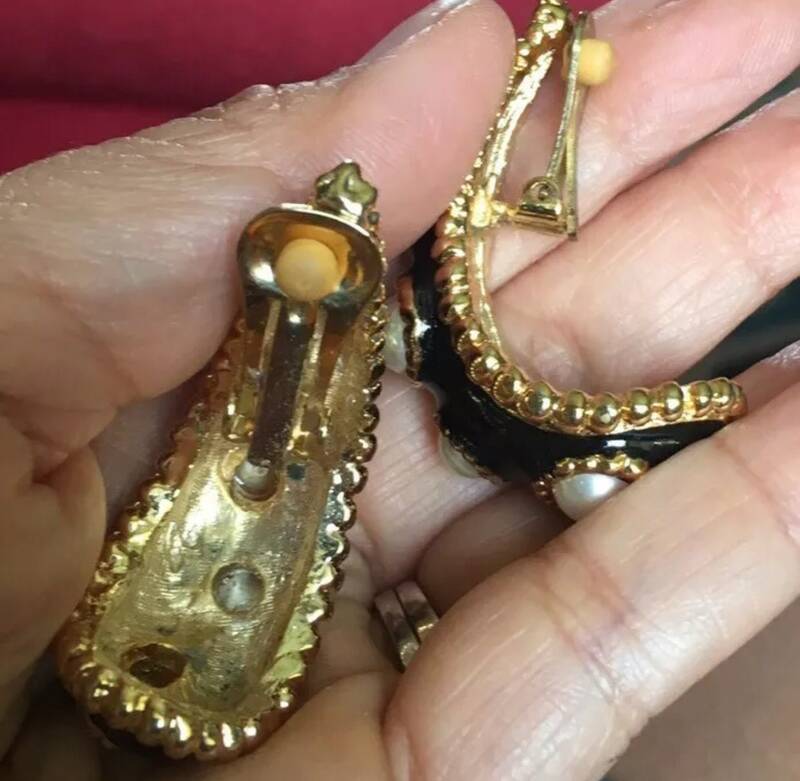 They are in good vintage condition with firm Clips. 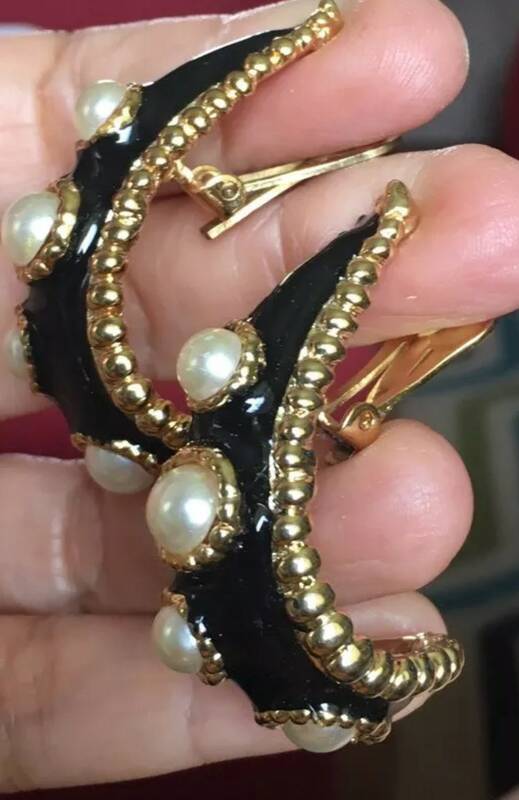 Late 80s early 90’s better Department store glamour fashion jewelry.